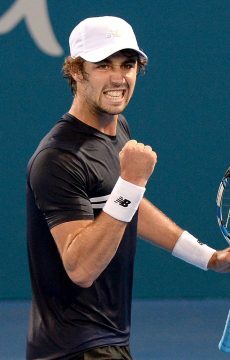 Jordan Thompson defeats compatriot James Duckworth in the opening round, as Bernard Tomic and Alex Bolt qualify. 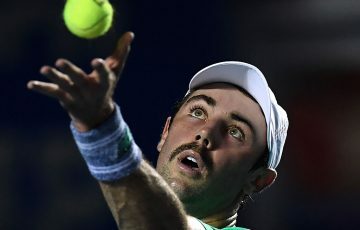 Jordan Thompson is into the second round of the Hall of Fame Open in Newport, posting a 6-4 6-3 win over James Duckworth in an all-Australian first round clash. 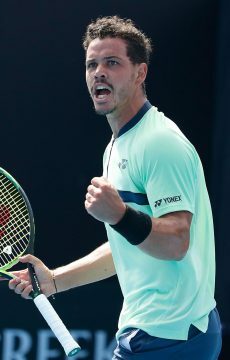 It was the 24-year-old’s first ATP-level victory since last year’s US Open and sets up a meeting with top seed Adrian Mannarino of France. 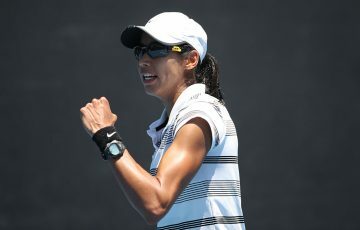 He joins fourth-seeded Matthew Ebden, a finalist last year, in the second round. 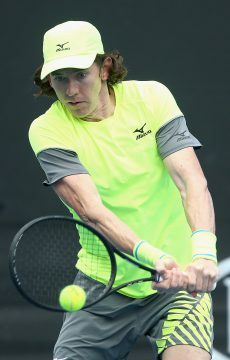 Ebden, who received a first round bye, faces American Tim Smyczek for a quarterfinal place in the US grass court event. 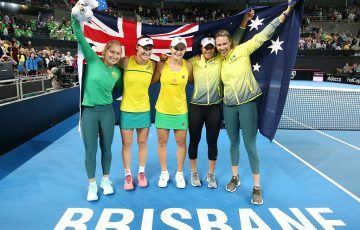 Alex Bolt, Bernard Tomic and Alex De Minaur will aim to join them when they play first round matches tomorrow. 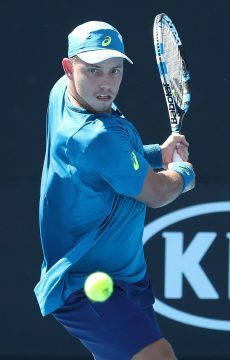 The No.176-ranked Bolt qualified for the main draw with a 6-3 3-6 6-3 win over American Alex Rybakov, setting up a first round meeting with American wildcard Christian Harrison. Tomic also earnt his place through qualifying, posting a 6-4 6-3 win over Italian Alessandro Bega in the final round. 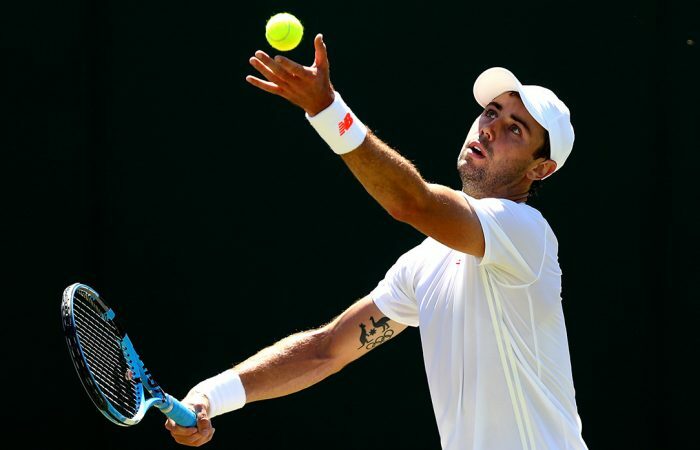 The No.155-ranked Tomic hit 17 aces in a 62-minute victory. 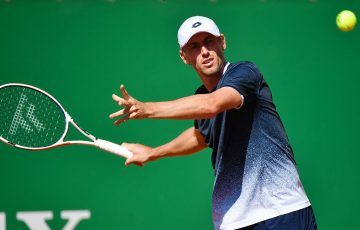 He faces Israel’s Dudi Sela in the first round. 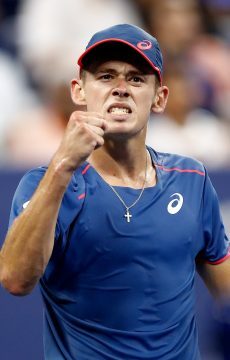 Alex De Minaur, seeded at an ATP tournament for the first time in his career, meets big-serving Croatian Ivo Karlovic in the first round. 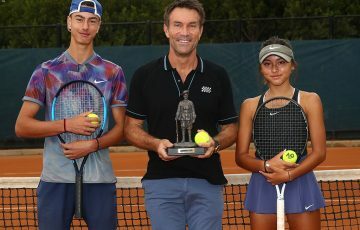 It will be the 19-year-old’s first meeting with Karlovic, who is 20 years older and holds a 30-centimetre height advantage. 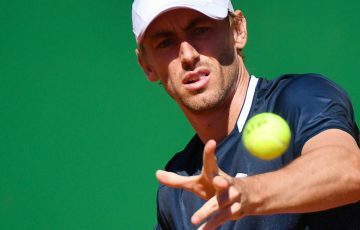 John-Patrick Smith lost in the final qualifying round, beaten by Victor Estrella Burgos 3-6 7-5 7-5.